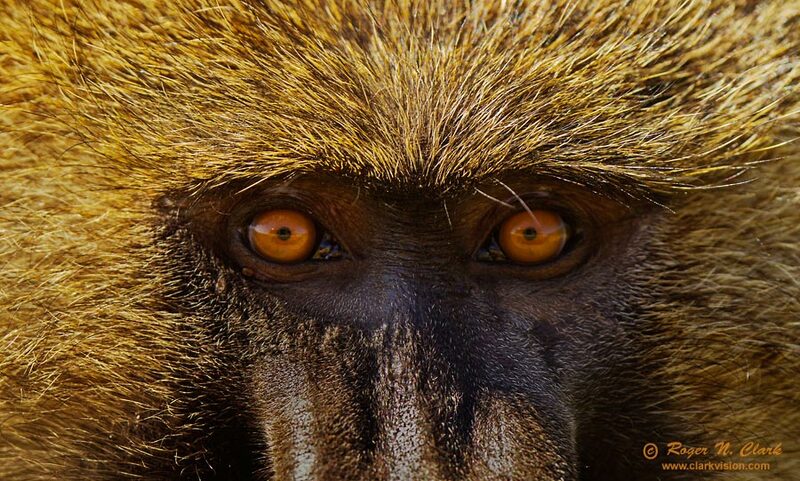 When leaving Ngorongoro crater we passed this baboon sitting on the side of the road. We stopped and I snapped this image through the window, which you can see centered on his pupils. Technical. Canon EOS-1D Mark IV 16 megapixel camera, 300 mm f/2.8 L IS lens + 1.4x TC = 420 mm. Exposure: 1/400 second at f/5.6, ISO 400.